Lovely Ludington Bed & Breakfast with amenities galore, all American classic candlelight breakfasts & a variety of decadent home made desserts baked daily for our guests. Candlelite Inn Bed & Breakfast is open year round & is located on beautiful historical Ludington Avenue near Lake Michigan's best sandy beaches, parks, lighthouses, S.S. Badger car ferry, shops, dining, brew pubs & pier. Please check out our new Booking Direct Specials page. All specials (including our current Spring Candlelite Inn Bed & Breakfast Cuddles) and discounts are displayed together to make planning and booking here for your lovely Ludington getaway a snap. It also ensures you have the very best rate and best room selection. The annual May Music in our Parlors weekend is coming up soon! 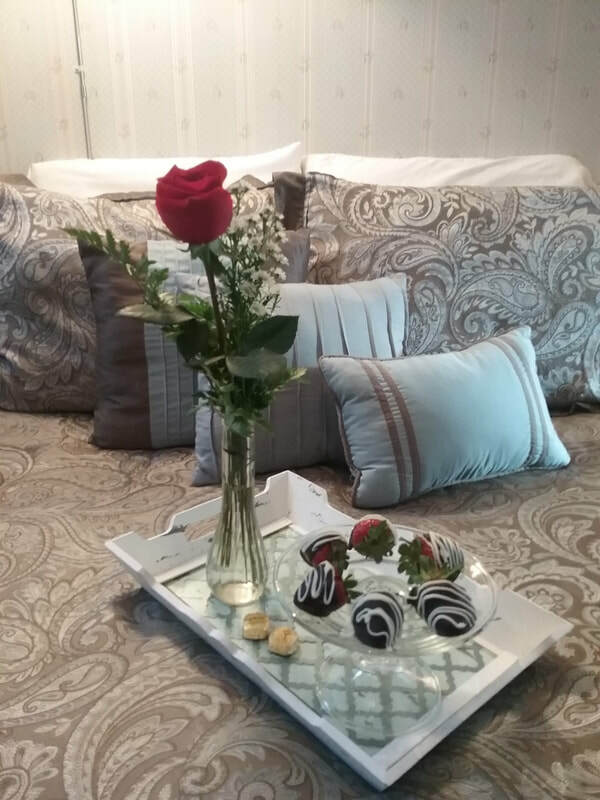 With so many unexpected amenities, look no further for your delightfully romantic Michigan bed and breakfast getaway. At Candlelite Inn Bed & Breakfast, our guests are never too early or too late for a delightful, delicious hot breakfast with numerous options, served family style, taking into account your dietary preferences, with fresh local and organic products whenever possible. It is a pleasure to serve those who are gluten free, vegetarian, vegan, or have other dietary restrictions. Talented singer, song writer and guitar player Chris Wiser will be performing in the our great room at Candlelite Inn Bed & Breakfast Saturday evening May 4th as part of the Music In Our Parlors Weekend. Several rooms are currently available. See our Events & Celebrations page for all the details. We love what we do here, and you will fall in love with Ludington too.